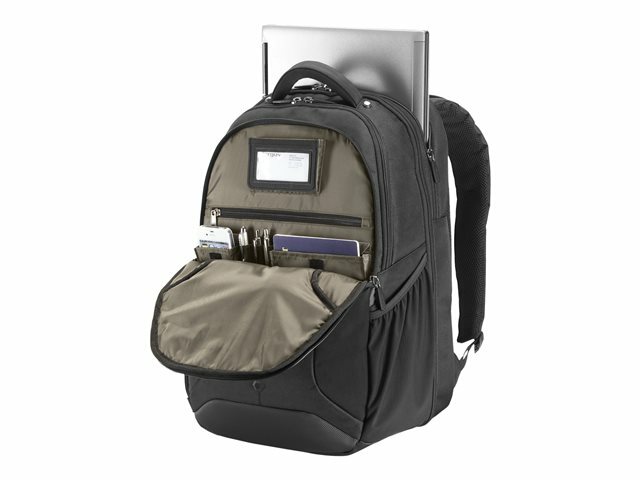 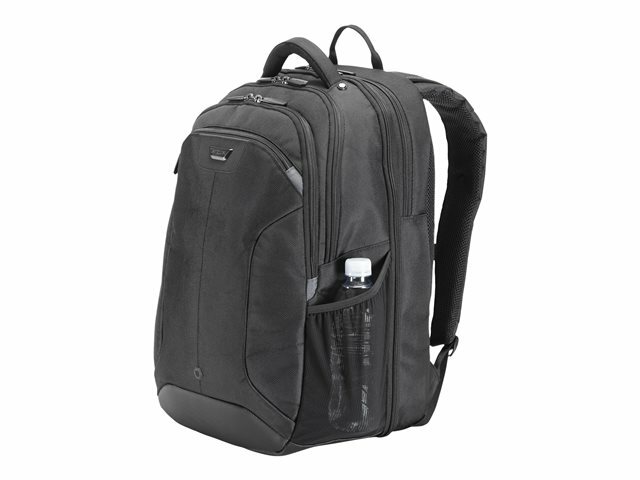 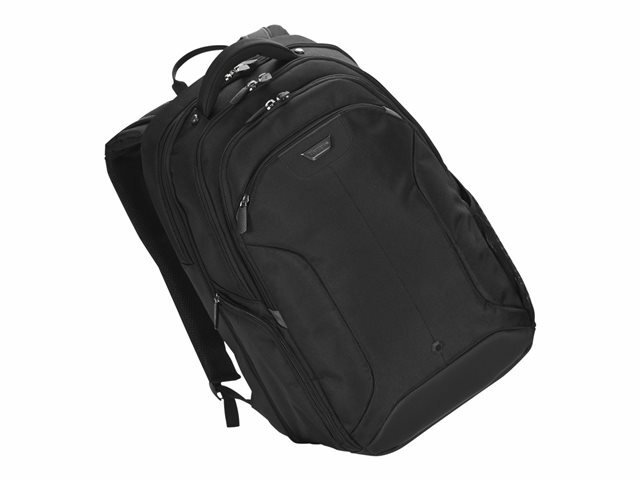 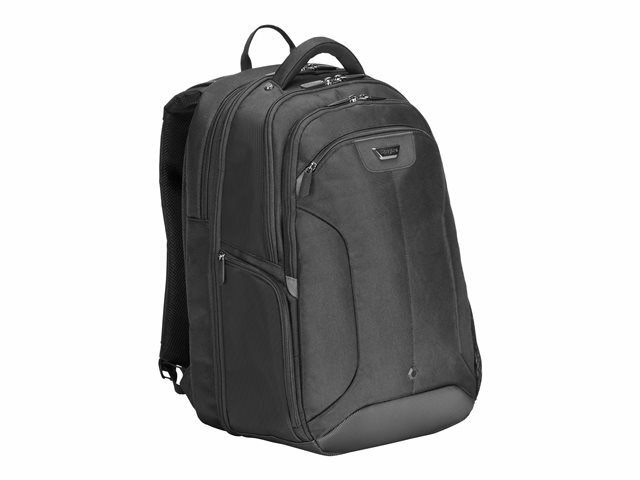 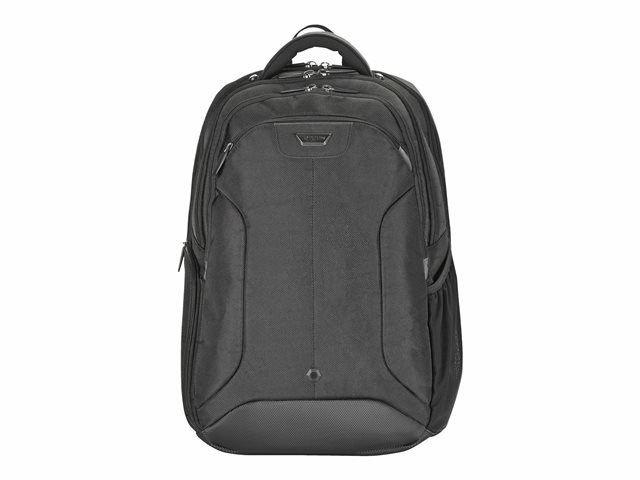 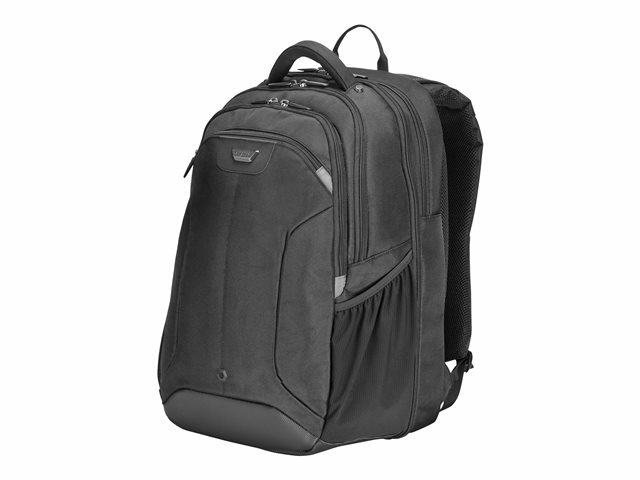 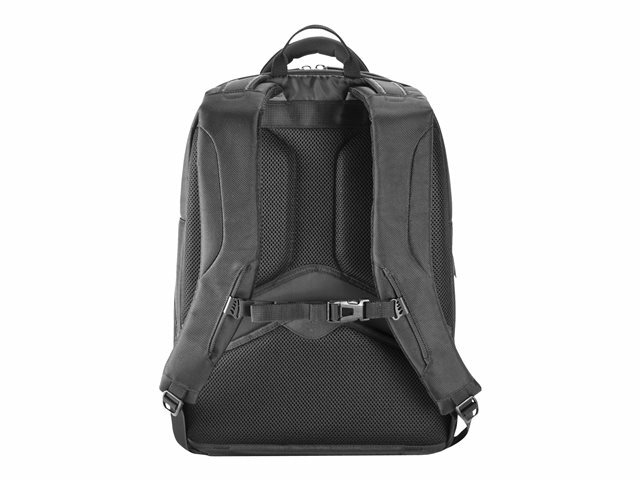 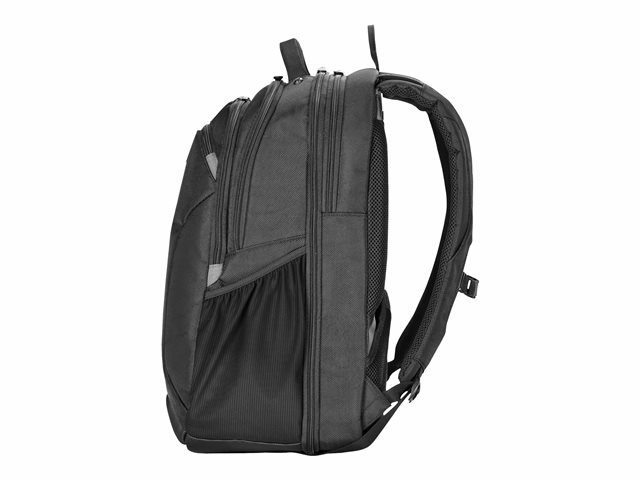 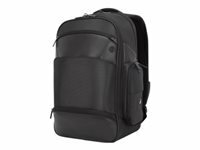 The Targus Corporate Traveler Backpack is designed to fit large laptops. 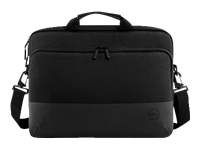 This case includes the patented SafePort Air Cushion System which features adjustable cushions inside of the case to protect your laptop from drop damage while providing a snug fit for smaller sized laptops. 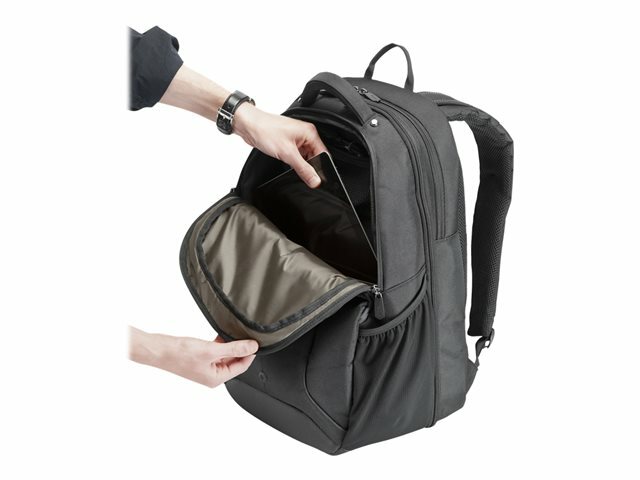 To keep you organized on the road, this case features a zip-down workstation with business card holder, three pen loops, key clip, multiple accessory compartments, scratch resistant CD/DVD sleeves and an expandable file section to keep your documents organized during travel. 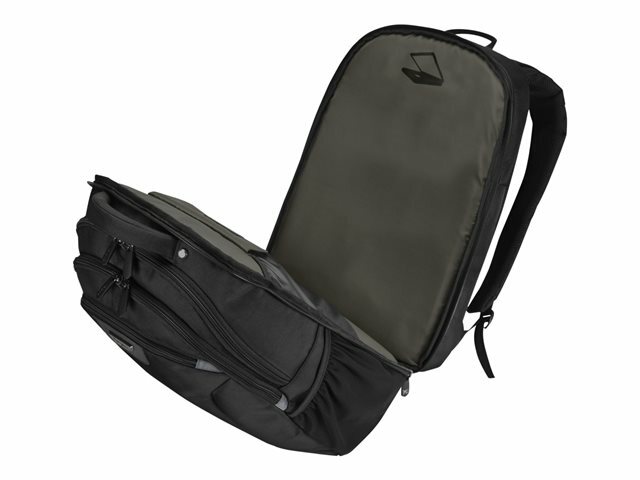 For added comfort, the case includes padded ergonomic shoulder straps with air mesh covering to provide a comfortable and cool fit. 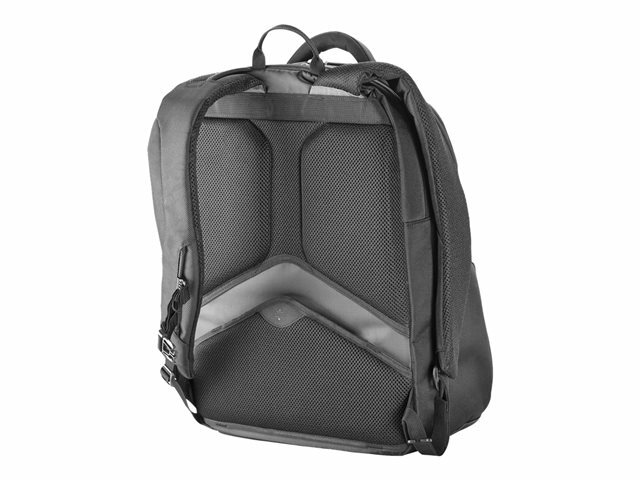 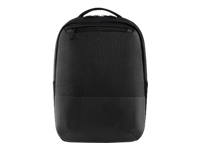 Constructed of durable ballistic nylon, this backpack is built to withstand the wear and tear of everyday business travel.